One of the most reliable and secure ways of collecting payments is Stripe payment forms. But, does your form builder allows integration with Stripe payment gateway? Then there is cheering news for you that there are some online form builders software available with Stripe integration service. Through them, you will be able to collect payments, leads, send email notifications to your paid customers & many more. Even you there are some form builders in this article which allows you to add more than one payment gateway in a single form. Hence, you don’t have to worry while electing the best because this post accommodates a complete information about these online form creator tools. So we’d like you to read this article & choose the best form builder to gather payments with Stripe & other payment gateways. FormGet is the phenomenal software which serves you a variety for creating an online payment form. It provides you the facility of secure payments via Stripe as well as PayPal payment gateways. Here you can create multiple Stripe payment forms & customize them according to the requirements. To make it more secure against spammers & bots, you can add reCAPTCHA feature to your form. So you’ll be able to receive the authentic entries & payments without any problem. Color customizer & so on. 20 MB file storage facility. Form embed up to 10 domains & many more. Collect payments via PayPal or Stripe. File uploads up to 2GB & so on. Access to 10 users at a time. Data exporting & many more. SSL encryption for enhanced security. Form analytics & so on. It provides you the option of custom branding so that you can make and customize forms according to your own brand. This form builder includes drips campaign feature so that the user can schedule forms according to requirement. You can make your form look smart and short by applying conditional logics through which a person can create dynamic forms that will change according to payment options. This software provides flexibility to embed the form on the particular website and social media platforms too. That’s how you can collect payments from external websites too. which I didn’t find in any other software. 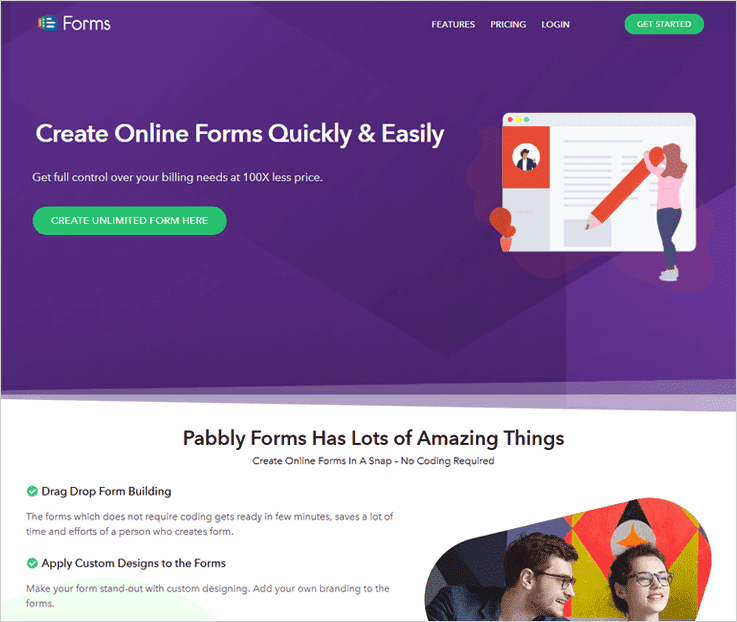 Pabbly Forms is another frequently used form builder in the market. The reason is that it has an efficient one-time as well as recurring payment collection functionality integrated with both Stripe & PayPal too. Even it have multiple currency support, so you don’t have to worry about losing any international clients. Upload storage for 6 months. Embed on domains & many more. Form analytics to track incoming payment rate. Popup/sliding form & so on. 5 user access at a time. SSL encryption for secure payment methods. Submission reports & many more. Embed up to 75 domains. Multiple Dropbox accounts & so on. Add videos/images to forms & a lot more. It allows collecting monthly, half-yearly & yearly recurring payments without any delay. To store any kind of files, this form builder comes integrated with DropBox where your users can upload & send the images, videos, audios & other types of files to you. To grab more payments & leads, you can embed the forms on multiple websites & can also share its link across your network. As it comes with 260+ templates, you will be able to create a one of a kind payment form in a couple of minutes. 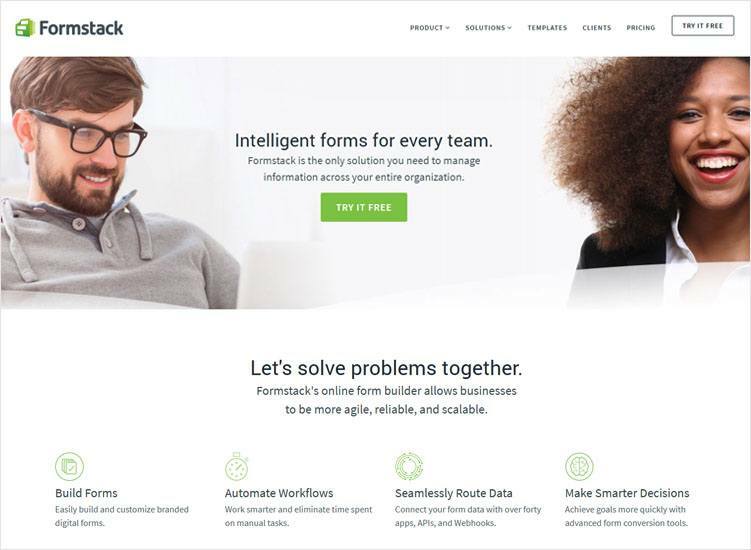 FormStack is another powerful and efficient form generator software with some add-ons features like conversion kit which helps you to convert more web visitors. This service with Stripe integration helps to smoothen your business processes. Silver Plan :- $39/ month. The software comes up with the feature of conditional logic. A user can share large groups of forms and also track responses too. It also provides the option to create workflows to make repetitive tasks easily. This software provides you complete security to protect your data such as encryption, invisible reCAPTCHA etc. Cognito Forms is another powerful form builder service that comes up with a lot of advanced and amazing features. It provides you the facility to create responsive forms and customize them according to requirement. This form builder tool permits you to publish your forms directly to Google+, Facebook, Twitter and many more. The software permits you to add a number of similar fields, sections, tables into your form. It allows the user to save the progress in the middle of the creation process and later they will be able to resume their incomplete task. You can also create multi-page forms which will help you to manage the long and complex forms by applying page breaks, progress bars, and conditional pages. It also includes the calculation feature, so that the user can calculate the total cost, orders, compare dates and can also add coupon codes for their customers. 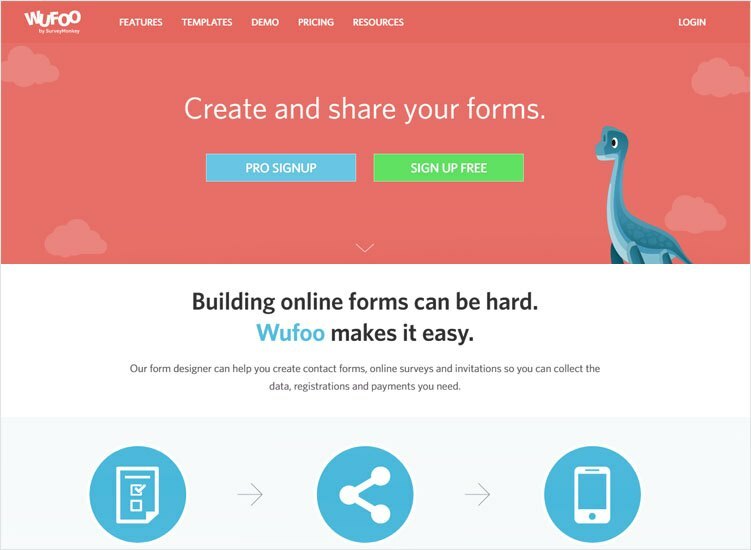 Wufoo is yet another platform which helps you to create custom online forms. Within few minutes you will be able to create beautiful forms for payment collection, contact form etc. It gives you an add-on to integrate some business tools. This service allows you to create your own form with a choice of 400+ customizable templates. With this software, you can create mobile responsive forms. Connect Wufoo with various popular tools such as Salesforce, MailChimp, and 60+ others. You can manage your data and information with its dynamic analysis dashboard. 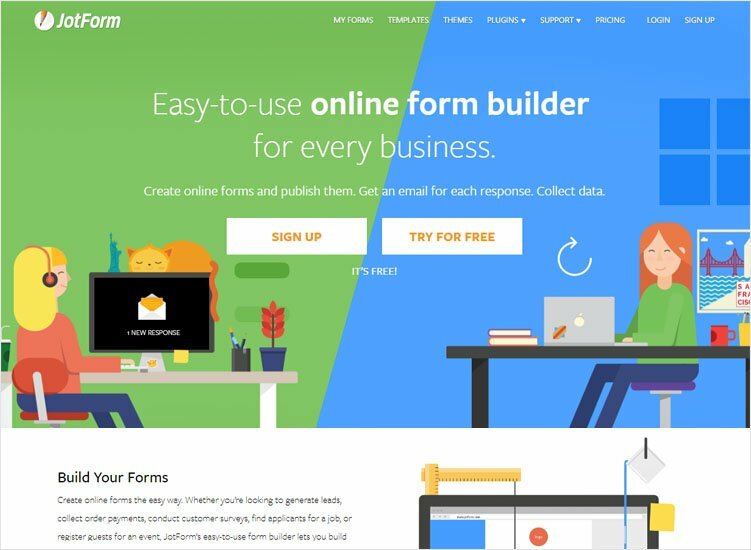 JotForm is easy to use and trustable online form creator software. 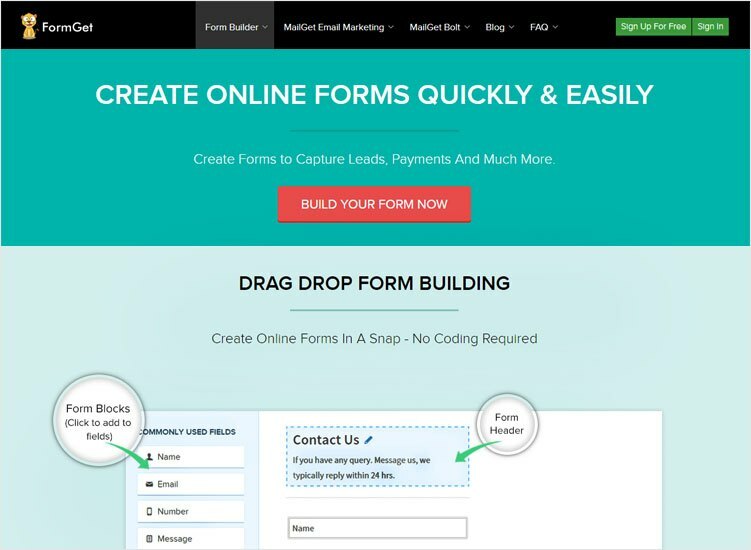 You can create your form in an easy way without sign up. Also, you will be able to create Stripe payment forms within a few minutes. Easy drag and drop feature available. With inbuilt pre-designed thousands of templates, you can create your own forms. It provides you multiple payment integrated services. This form builder tool provides you to do SSL secure submissions. All the software mentioned above are the best online Stripe payment forms builder tools that will make your money transaction easy with Stripe integrated services, selecting between one of these software for payment form creation is the smartest step as all these software provides you the best facility for collection of recurring payments. 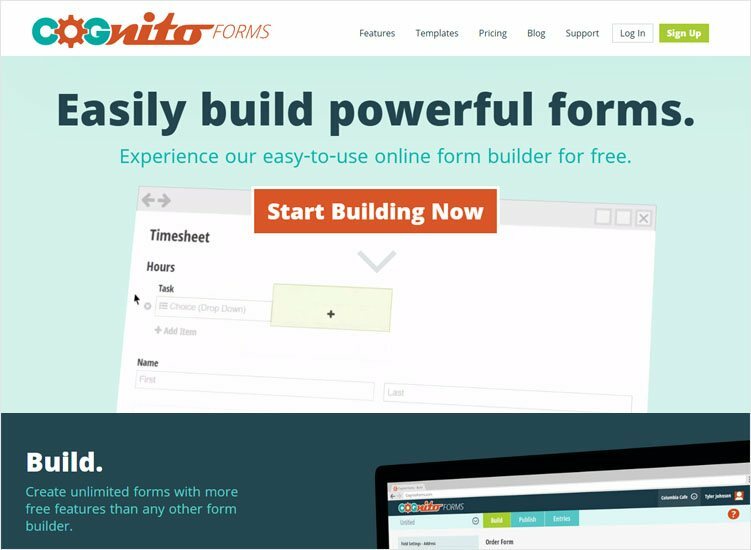 Not only for payment forms these online form builders helps an individual to create beautiful professional looking forms. According to the perspective of cost and features, FormGet & Pabbly Forms comes up as the best forms for all kind of businesses. So instead of hanging around and searching the best online form builder, you can opt out of these.